When Adam and I visit a city, we tend to follow a pretty standard routine. We spend a day or two exploring: we try new restaurants, take tours, and see the highlights. Then, if we have a few extra days, we plan a couple of day trips to see more of the region. It helps us gain a different perspective, and we feel more in touch with the area. Our interests are pretty varied; some days we feel like hiking or walking outside, and we’re almost always interested in finding places that challenge us and teach us something new. 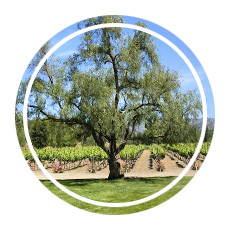 Winery visits are always a favorite way to spend time, and if we can pick a place that is slightly off the beaten path or unique to the location we’re visiting that is even better for us. 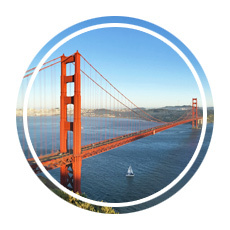 That’s why we were so excited to plan a few day trips from San Francisco! 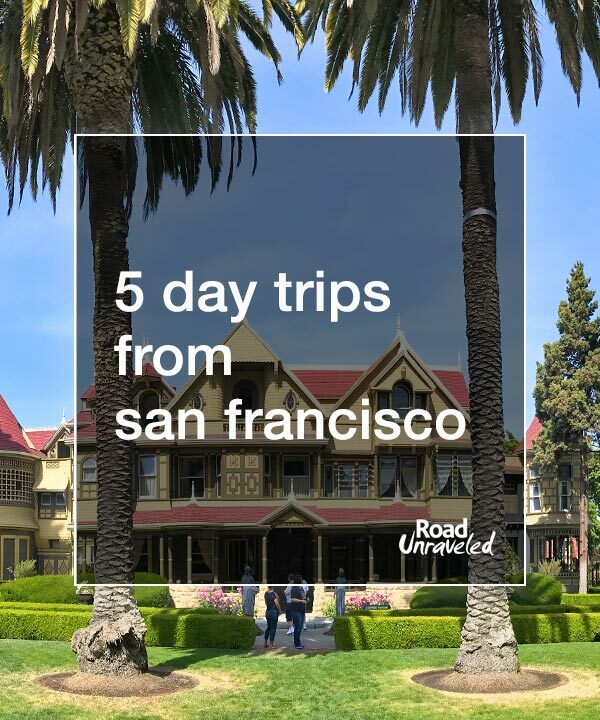 The Bay Area in northern California is more than just San Francisco, and that’s why it’s a great idea to pick a few day trips from San Francisco to see, experience, and learn as much as you can about what the region has to offer. From the supernatural to the surprising, and from experiencing nature in the great outdoors to tasting wine in the great indoors, there’s bound to be a couple of short day trips that speaks to your interests. Whether you have a few hours or a whole day, consider renting a car and enjoying a day outside of the city. Here are five of our favorite day trips from San Francisco! 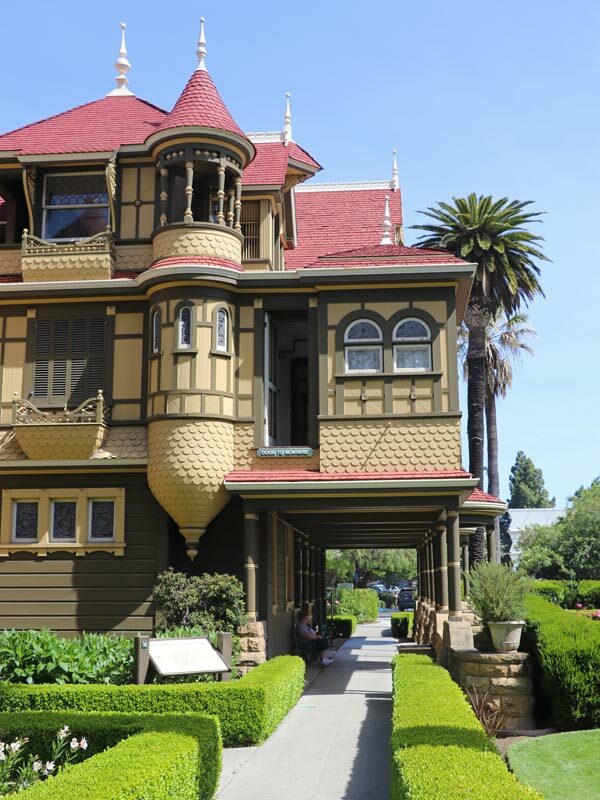 San Jose isn’t very far from the city, but there’s enough to see and do that it’s one of the more popular day trips from San Francisco. Spend a couple of hours exploring the Winchester Mystery House, an already noteworthy residence made more famous by the recent movie Winchester starring Helen Mirren (IMDB). 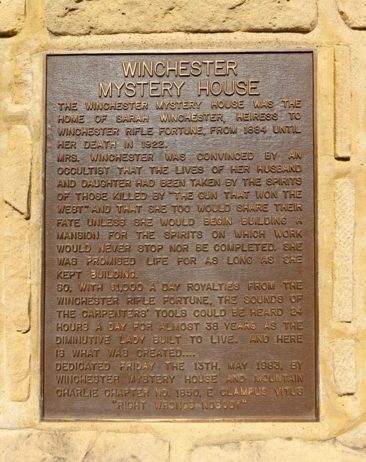 The Winchester Mystery House was purchased by Sarah Winchester, widow of the treasurer of the Winchester Repeating Arms Company in New Haven, Connecticut. Sarah worried that she was cursed by her husband’s legacy, and a psychic suggested she move to the west coast and build a home for the spirits killed by the Winchester rifle she believed haunted her. 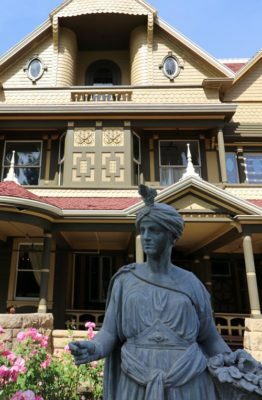 Sarah was convinced that if the house was constantly under construction the spirits would leave her alone, as loud noises would keep them at bay. Sarah purchased a house in San Jose and immediately hired a crew to expand it, and their work continued around the clock—without any breaks—for 38 years. As a result of the continuous home improvements and Sarah’s lack of architectural training, the house has a few noticeable flaws. In one room, a staircase leads up to the ceiling instead of a doorway. Elsewhere, a “door to nowhere” opens to a sharp two-story drop to the ground below. In one room, a window was installed in the floor. Because of Sarah’s immense wealth, expensive high-end finishes can be seen at almost every turn. The tour provides not only a fun look at the curious nature of a house forced to expand constantly for almost four decades but a fascinating, almost sad look into a woman’s mental health and the decisions she made to keep herself from being haunted. 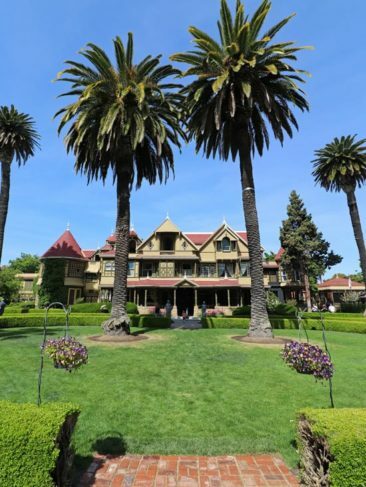 The Winchester Mystery House is bound to be one of your favorite day trips from San Francisco. If you want to extend your time in San Jose, there is plenty to do! The Tech Museum and Children’s Discovery Museum are both in downtown San Jose, and the Municipal Rose Garden is a lovely spot to walk through if your visit occurs when the flowers are blooming April through November. If you’re hungry, don’t miss Bill’s Café, especially for breakfast. Their bread pudding French toast is unbeatable! 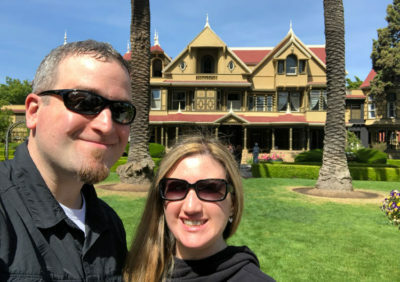 If you are looking for some great shopping, Santana Row is just across the street from the Winchester Mystery House and houses dozens of shops and restaurants. Once you have explored a bit more of San Jose, your day trip from San Francisco will be complete! Feel like solving a mystery? 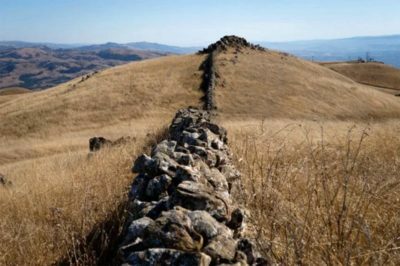 A collection of potentially prehistoric walls spanning across 50 miles in the Bay Area might pique your interest—and might make for one of your more fun day trips from San Francisco. The walls (also known as the Berkeley Mystery Walls or the East Bay Walls) don’t seem to have any record or serve any real purpose. They aren’t tall enough to keep anyone in—or out. They don’t run continuously, and they don’t have a uniform shape or length. To add to the mystery, no group or Native American community has laid claim to them or shared any knowledge about their origin or purpose. Some historians believe they are reminiscent of the Great Wall of China and could have been built by settlers from Mongolia, while a more common theory is that the walls were built around 200 years ago. 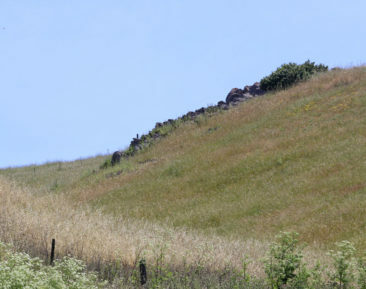 There are dozens of spots around the east Bay Area where you can find portions of the Mystery Walls. We drove around for a while in Ed R. Levin Country Park in Milpitas, where we were able to see some of the walls (we think?) in the distance but we couldn’t get close enough to get a good look. With some more time—perhaps on a day trip from San Francisco dedicated just to the Mystery Walls—you might have more luck than we did. Finding the walls’ locations is a fun scavenger hunt, and you can let your imagination run wild as you wonder who built the walls—and what reason they had to do so. Drive down Route 1 for some spectacular views on your way to Big Sur. 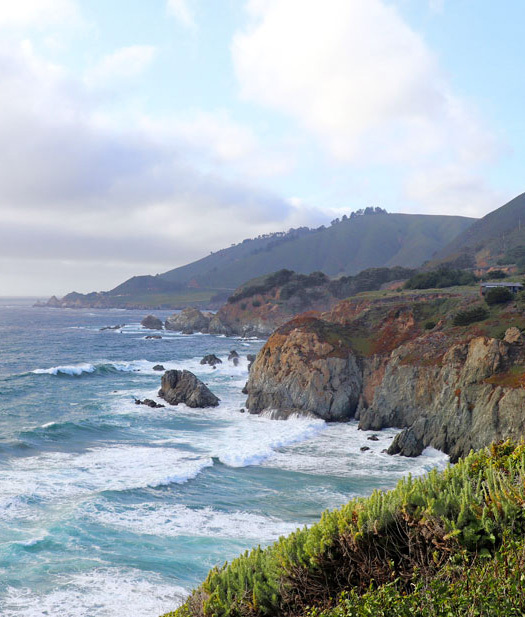 California has some incredible coastlines, and the best way to experience some of them is with a day trip from San Francisco to see a glimpse of unspoiled nature. 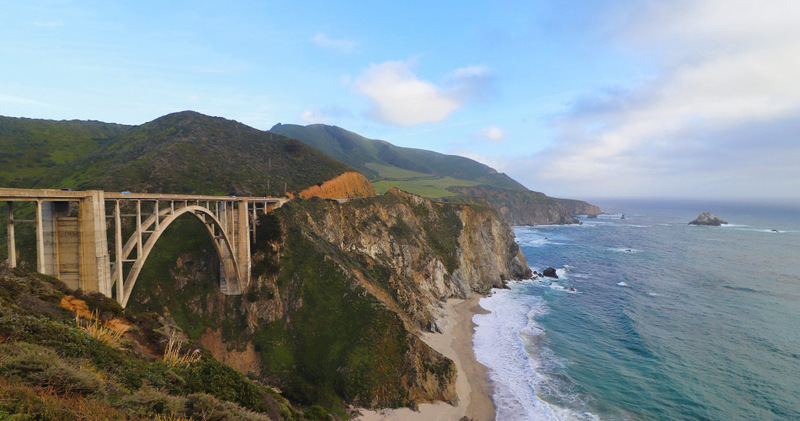 We made Carmel our destination, and we started our visit south of town with a stop at Bixby Creek Bridge. The bridge is affectionally referred to as Big Sur’s Golden Gate Bridge, but in a way the setting is more impressive than San Francisco’s pride and joy. 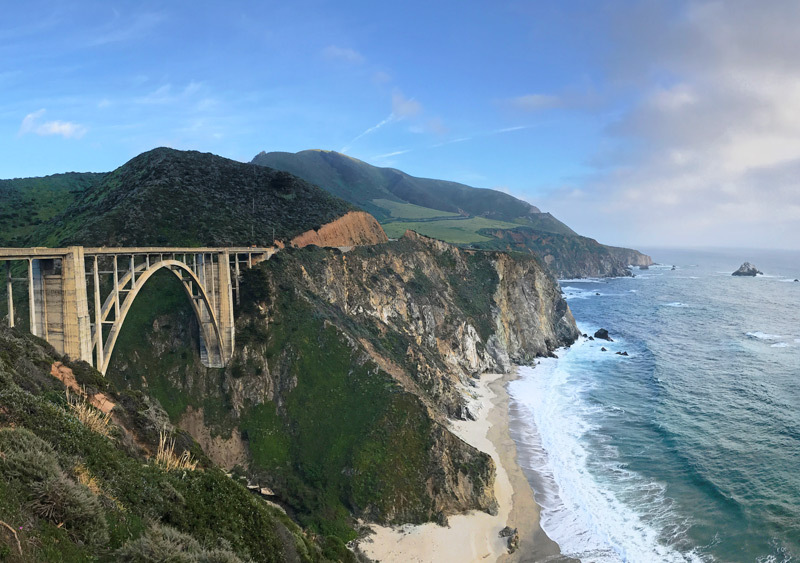 It stretches over jagged cliffs as waves crash below them, and it’s no surprise that most cars passing by will pull over to pause for a photo or to admire the view. 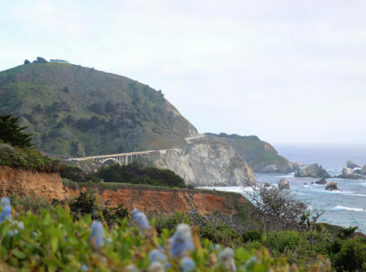 A day in Big Sur is ideal for nature lovers. Hikers will enjoy access to a couple of different state parks with various marked trails, and beach lovers will find quick access to the sand and ocean. 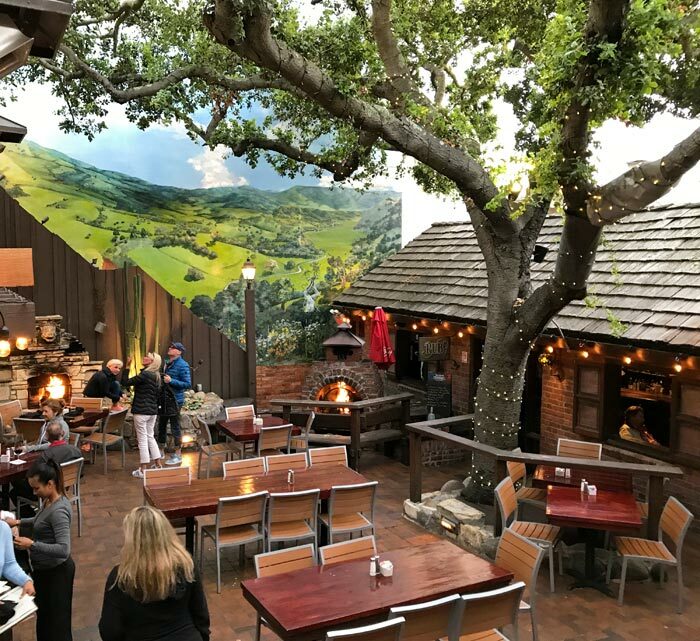 When you’re ready for something to eat, Carmel-by-the-Sea is a lovely little town with dozens of restaurants. We had dinner at the Hog’s Breath Inn, once owned by Clint Eastwood, where we had local seafood by a fireplace outside. With some extra time, Carmel-by-the-Sea is a worthy spot to spend another couple of hours; the beach and historic mission are great places to check out. 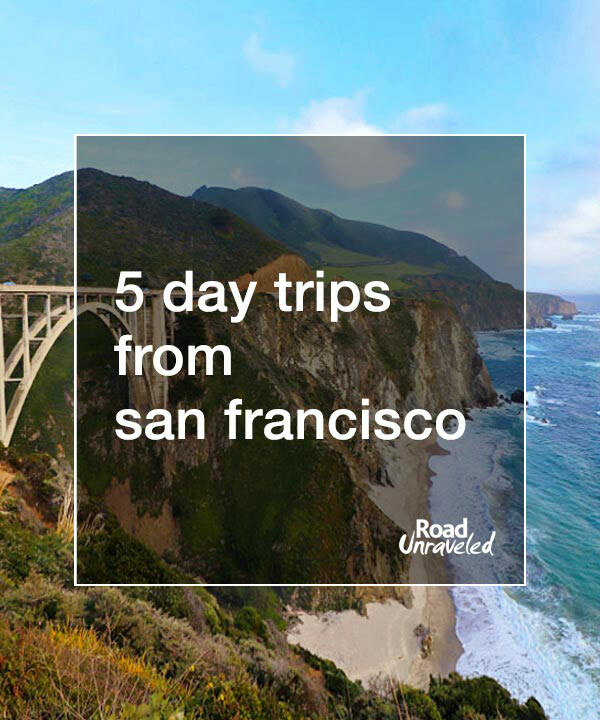 It’s one of the longer day trips from San Francisco when you factor in traffic and distance, but it will also be a memorable experience. 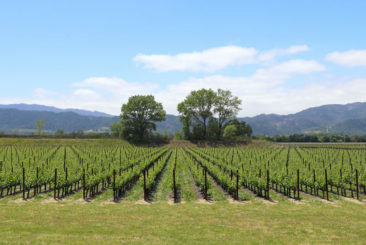 Northern California is well-known for its access to exceptional wine, so be sure one of your day trips from San Francisco takes you to Napa and Sonoma. 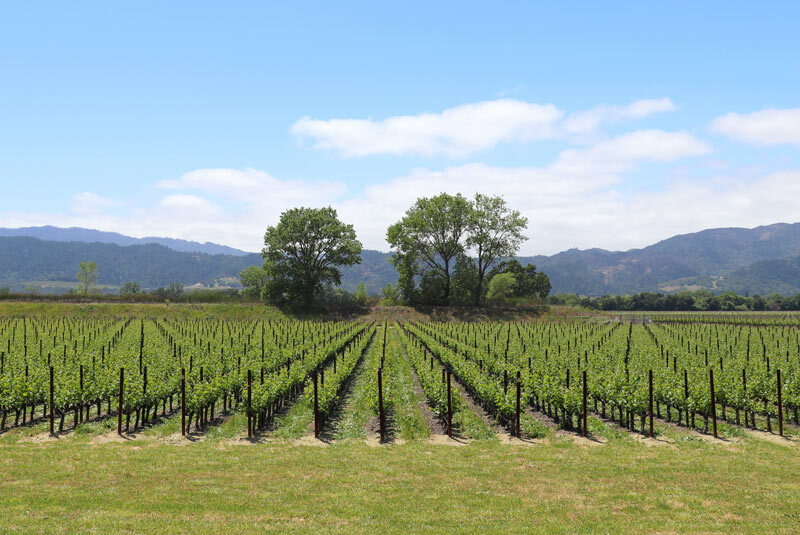 We visited toward the end of our California wine road trip, but dozens of wineries are within a 60-90-minute drive of downtown San Francisco. 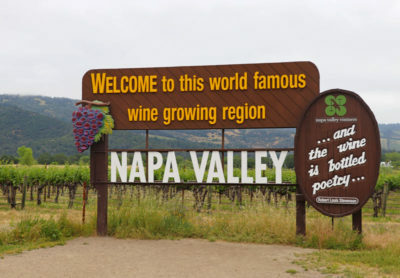 There are a few ways to experience Napa and Sonoma, and each requires a bit of planning. Many wineries require reservations in order to provide visitors with an optimal experience (no one likes waiting in a crowded tasting room! 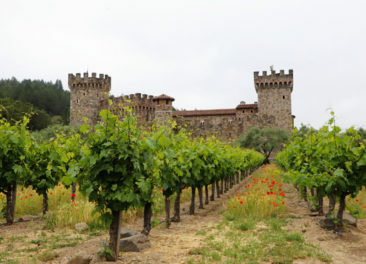 ), so take a look at some of websites for wineries you want to visit and determine if reservations are necessary before you go. You’ll find a good variety of wines that are produced in both regions, but Cabernet Sauvignon and Chardonnay dominate many tasting menus. If your tastes are specific, be sure you know what wineries specialize in before stopping by. 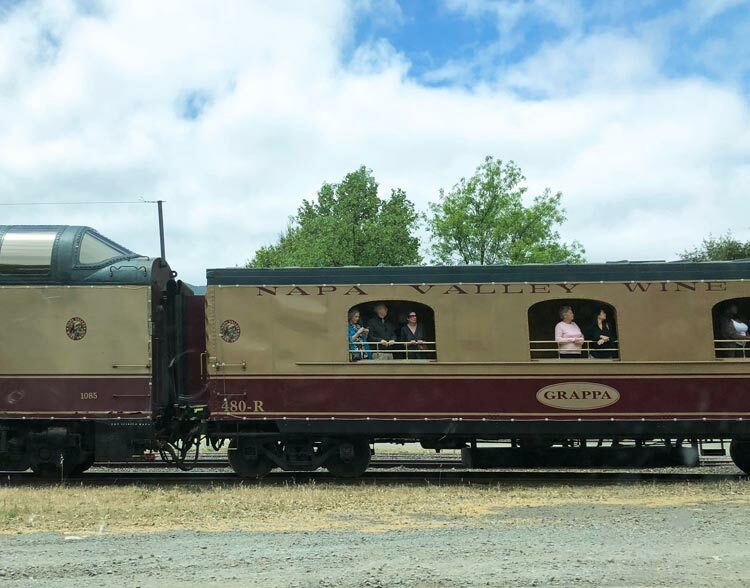 You may also enjoy a wine tour; although we didn’t take one, we did see the Napa Wine Train pass by several times, and each time it seemed to be full of people enjoying a leisurely afternoon on board. Think about the experience you want to have and use your expectations to guide your planning. 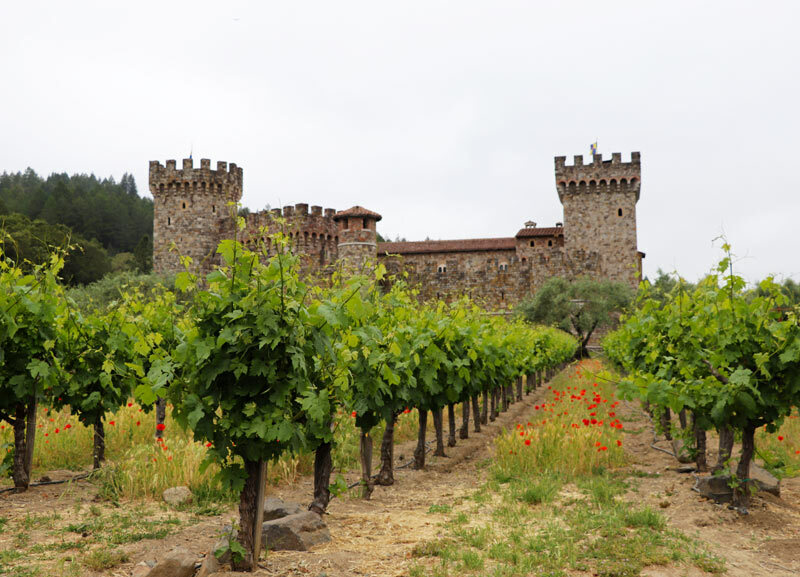 We loved Castello di Amarosa and Silver Oak in Napa, neither of which required reservations and both of which offered wonderful, well-made wines. 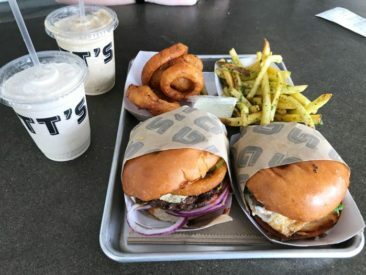 Any wine day trip from San Francisco will require a stop for food, and we picked Gott’s Roadside partially because it’s a local institution and partially because a hamburger and fries sounded like a perfect meal after a morning of wine tastings. The food was delicious, the service was fast and friendly, and we couldn’t have been happier—or more full—after our lunch was over. I first came to love the Salinas Valley through John Steinbeck’s description of the region in his masterpiece East of Eden. Steinbeck grew up in the Salinas Valley, and it’s no surprise that his home is immortalized in books that also include Of Mice and Men. If you, too, are a fan of Steinbeck—or simply interested in how authors transform their ideas into novels—this is one of the day trips from San Francisco that will educate and inspire you. The National Steinbeck Center provides a great overview of Steinbeck’s life and experiences in the Salinas Valley, and it’s a nice way to learn more about the region often recognized as the “Salad Bowl of the World” because of its extensive agricultural production. 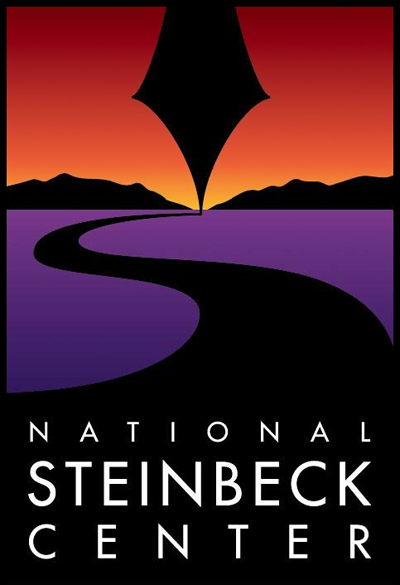 It’s also a great way to learn about the themes that run through Steinbeck’s novels, many of which can be explored through permanent and rotating exhibits. I think I would like to write the story of this whole valley, of all the little towns and all the farms and the ranches in the wilder hills. I can see how I would like to do it so that it would be the valley of the world. Continue your Steinbeck tour by visiting the Steinbeck House, the author’s birthplace and childhood home. These days, the home primarily functions as a restaurant that serves lunch most days of the week. When you have had your fill of literature, the Salinas Valley still has more to offer: there’s a cute old town, a zoo, and access to several national parks and wineries—all great places to relax after a day learning, thinking, and maybe even finding the inspiration for a bestseller of your own! Enjoy Your Day Trips from San Francisco! 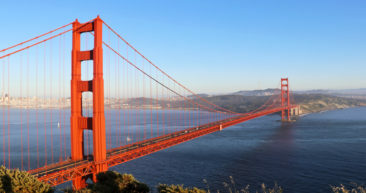 There are plenty of places you can choose if you’re looking for great day trips from San Francisco, and these are just a few of the options that might help you learn more about the Bay Area and California in general. 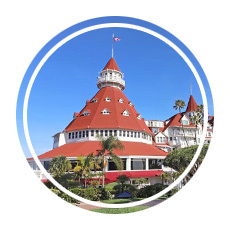 Let us know where your day trips take you—we know you will have a wonderful time! Planning a trip to California? 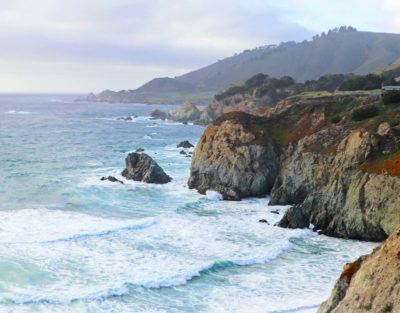 Here are a few more posts about places to visit in the Golden State!